Phnom Penh (FN), 15 April — Ill-intended plan of some civil society organizations in Cambodia led by COMFREL of Mr. KOUL Panha to disrupt, interfere, destroy and discredit the upcoming 29th July 2018 General Election, was publicly exposed. The mastermind is panicked due to the fact that his plan, organized under the label of ANFREL which is based in Bangkok, Thailand, has been leaked. These leaks have more or less decreased the trust and confidence from their foreign bosses and donors. These organizations and their respective leadership might be held accountable before the law if it is found that they are carrying on their ill-intended manoeuver to destroy the upcoming election in Cambodia with the opposition group and its proxies keep claiming that they have revitalized the defunct CNRP to participate in the election and, if this fails and if the former banned politicians cannot be reinstated on Cambodia’s political stage, they will continue with their plan to boycott and discredit the Election. Being nervous of his dirty trick leakage, KOUL Panha – is well-known as the one who is actively carrying out this malicious scheme to discredit and destroy the elections in Cambodia instead of promoting a free, fair and just election as he boasted earlier. Recently, he issued an ironic press statement to clarify his current stance over the coming election by saying that he had no intention to destroy the electoral process. If his statement is true, it will be a very strong evidence for future record should there be any interference in the electoral process from external circles or any activities of either COMFREL or ANFREL led by KOUL Panha. However, who could believe in such a ludicrous vow Mr. KOUL Panha? During the previous elections, he and COMFREL had similarly and absurdly recited the same lessons i.e. to promote the elections, but they were great boasters, little doers; on the contrary, they have colluded with foreign organizations by making pre-judgments on the political situation and election results. Their contradictory statements and acts completely go against the law in force. 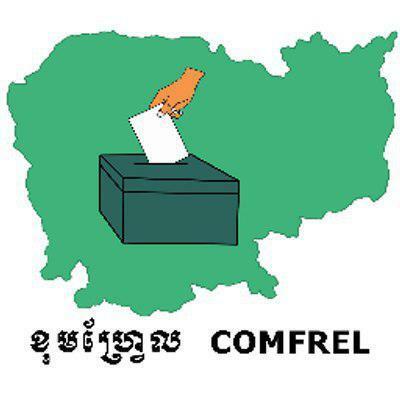 When their real plan was revealed, KOUL Panha as well as COMFREL and ANFREL as a whole continuously appear to make up excuses to the public by trying to characterize themselves as the champion of elections’ affairs and democracy in Cambodia. They have been trying to cover up their malicious ploy of colluding with foreign power and agencies which have provided them with funding. As it turned out, they will go on with the same guidelines and goals as they used to do in the past by carrying out the same devious stratagem for regime and leadership Change of the country through an un-democratic means by using elections and democracy as an excuse to incite people’s anger, thus enabling the opposition group to orchestrate street protests and cause social chaos. Why do they inevitably focus on the elections? Because it is the only chance and best opportunity to stoke people’s tension and anger against the incumbent government, to rouse their resentment against election institution, and finally to turn their rage against the legitimate winning political party through their distorting, exaggerating and fabricating report on public opinion about the electoral process. They have twisted the real political situation from good to bad, turned the election process into a tragedy, and released fake news and misinformation about grave election irregularities and lack of transparency and accountability. Under the pretext of human rights and democracy, some civil societies have bowed to the line of command drawn by some foreign power with irrefutable history of inflicting pain on Cambodians, of causing bitter internal conflicts, and of massively bombing Cambodia and Cambodians. Yet, these puppets still have guts to mercilessly bow their head to work for the destruction of the supreme interests of their own nation and people. They have gone to the length of exaggerating and discrediting Cambodia reputation in order to serve foreign ambitions. Political and financial support for the Election Situation War Room outside Cambodia which they re-created is nothing new but a continuation of their nefarious scheme against Cambodia, and being a khmer citizen such as KOUL Panha and his NGO which are a stalwart puppet of foreign power have been very clearly and undeniably serving foreign interests in detrimental to their own country. The new strategy employed by the foreign power and agencies are to use the hands of a number of local civil society which are pro-opposition and have received funding from USAID, especially from the unregistered intelligence mechanism named IDI (Inclusive Development International) so as to meddle, disrupt and discredit the upcoming general election process. TEVADA has seemingly and always protected Cambodia and her people! Anyone who tries to destroy Cambodia will be immediately condemned; his political party was disbanded in accordance with the Law on Political Parties; certain of its leaders are behind bar while some others took exile. Cambodia may be the first country to defeat a color revolution, and it may also be the first time in history that color revolution was defeated by the Khmer people whose ancestors built Angkor Watt – which is admired throughout the world. Any ill-intended individuals or traitors who have bad intention against the Cambodian people will be crushed by their own karma regardless of the pleading and prayer to the 2018 New Year TEVADA of Dog. They cannot escape from the Law enforcement and must be held responsible for all their actions committed against this nation and its people. The Cambodian people, having gone through the greatest hardship and obstacles, have been able to restore the country and its economy to this stage of development. The current peace and ongoing progress of Cambodia must not be allowed to be tore down by anyone. Thanks to the full security, stability, and peace that we have enjoyed nationwide, the Cambodian people are extremely proud to be able to auspiciously celebrate the Khmer New Year while these traitors who are stubbornly working against the Cambodian nation and people must pay the prices for their own misdeed and treason. Consequently, even the New Year TEVADA cannot in any way help these individuals if they stubbornly persist in destroying Cambodia.